Responsive Web Design (RWD) is a spontaneous attribute that resizes and molds your website to mobile devices like smartphones & tablets for a highly useful browsing experience. Did you know that it takes just about a fraction of seconds for online visitors to make a judgment on how well a website is? The design and look of the website enables the visitors to figure out whether the site is professional and dependable or not. At Emarkepedia, our website design crew is ready to help you. In order to build great a reputation in the market, having an amazing looking website is a smart move. An innovatively designed, well-organized and attractive website increases the popularity of any business and adds integrity to the business. We at Emarkepedia offer comprehensive, custom website to many businesses. Whether you need a website for desktop, mobile or tablet, we have a complete solution for you. Complete functional website for mobile phones, tablets, smart phones, laptop and desktop, etc. Customized solutions to our respected clients for web design and build. Responsive, dynamic web designs that hit mobile users across the globe. Massive web traffic and online popularity. Custom design for all gadgets including iPhone, smart phones, iPod and more. Hence we know that a majority of online users use mobile phones for looking for any information will certainly increase in the near future and will beat laptop and desktop computers. It is an evidence of emerging need for responsive web designs and build. 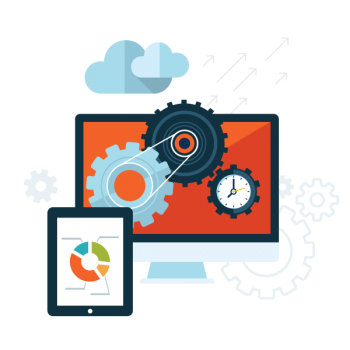 By hiring our top-notch web design services, you can promote your business and can increase its sales and revenue.